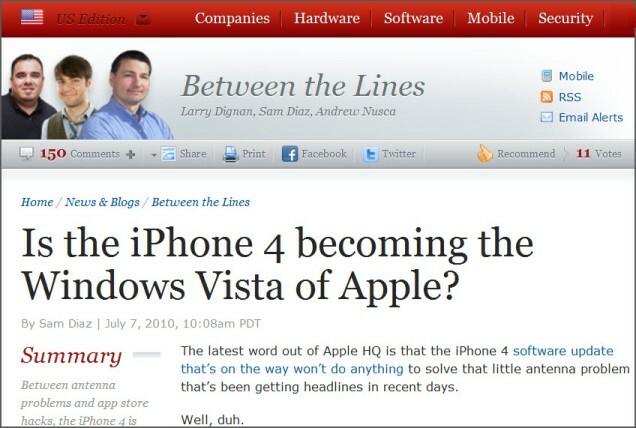 I always follow the ZDNet blogs to keep up on certain segments of the future of publishing saga. ZDNet’s coverage of new hardware & software, top companies, e-readers, infrastructure and security issues is timely and excellent. Here’s the latest on the iPhone 4.